With support from the Ford Foundation, Virginia Tech’s Vacant Property Research Network (VPRN) recently published a new case study on the City of Philadelphia’s approach to reclaiming vacant property and developing a healthier, more resilient city. for improving and sustaining a more resilient approach to urban regeneration. bring to life the elements of a holistic and resilient policy process for vacant property reclamation that can assist practitioners, policymakers, and researchers in the design and development of a more resilient system for reclaiming vacant properties and regenerating distressed communities. 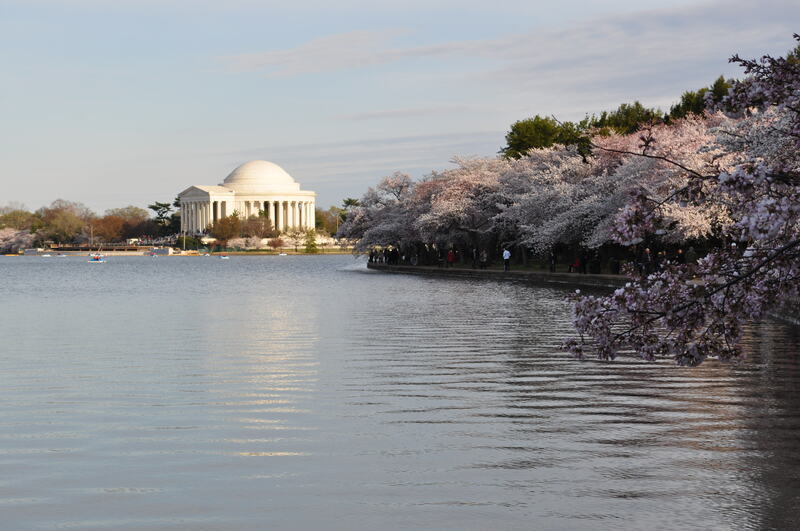 The study team included Joseph Schilling, LLM, Director of the Metropolitan Institute at Virginia Tech, and Kimberley Hodgson, MURP, MS, AICP, RD, founder of Cultivating Healthy Places. This entry was posted in Community Health, Social Equity and tagged urban agriculture, vacant land, vacant property on October 15, 2013 by kimhodgson. On February 27, 2013, the United States Department of Agriculture’s Deputy Secretary, Kathleen Merrigan, officially announced more than $75 million in grants for research, education and extension activities to ensure greater food security in the United States and around the world. The awards were made to teams at 21 U.S. universities to conduct research that will find solutions to increasing food availability and decreasing the number of food insecure individuals. These awards were made through the USDA’s National Institute of Food and Agriculture (NIFA) 2012 Agriculture and Food Research Initiative’s (AFRI) Food Security program. The program supports research that will keep American agriculture competitive while helping to end world hunger, and focuses on achieving the long-term outcomes of increasing domestic and international food availability and food accessibility. The University at Buffalo (UB) is one of the U.S. universities that received this prestigious grant. 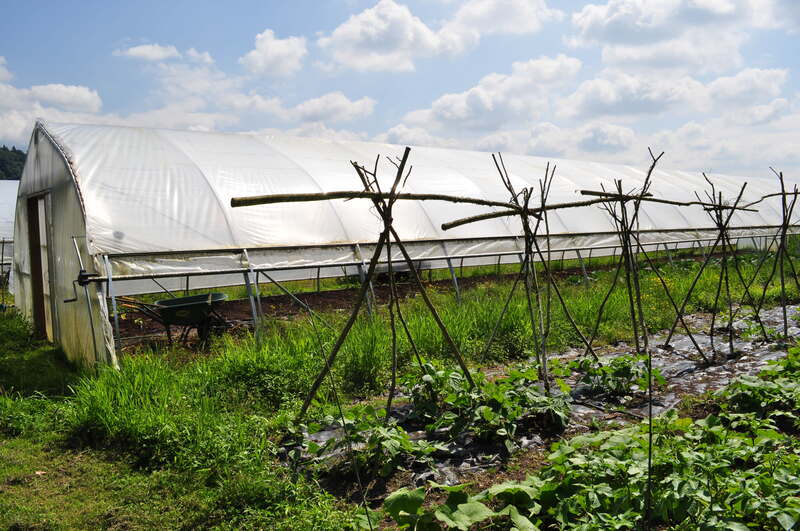 The focus of the UB funded initiative (formally titled “Building Local Government Capacity to Alleviate Food Deserts”) is to build the capacity of local governments to reconnect farmers with underserved consumers. Co-investigators in this UB initiative include Samina Raja, PhD (the project lead, University at Buffalo), Jill Clark, PhD (Ohio State University), Julia Freedgood (American Farmland Trust), and Kimberley Hodgson, MURP, MS, AICP, RD (Cultivating Healthy Places). Key partners include the Planning and Community Health Research Center at the American Planning Association and individuals from other national non-profit organizations. For the full USDA announcement, visit http://www.nifa.usda.gov/newsroom/news/2013news/02271_food_security.html. This entry was posted in Community Health, Food Systems, Social Equity and tagged AFRI, agriculture, food security, NIFA, USDA on March 5, 2013 by kimhodgson. The American Planning Association’s Planning and Community Health Research Center recently released a new publication – Healthy Planning: An Evaluation Of Comprehensive And Sustainability Plans Addressing Public Health. This report provides results from an evaluation of 18 local comprehensive plans and 4 sustainability plans from local governments across the United States that address various public health topics and issue areas in their local level plans. Results highlight the progress of specific localities in addressing public health, but also reveal the slowness of the planning field to fully embrace public health as an important societal issue. The multiphase study commenced with a national survey to identify local governments across the U.S. that are actively planning for public health. According to the survey, only 260 and 51 respondents indicated that their local comprehensive plan or sustainability plan, respectively, contains explicit goals or policies that address public health. Not surprisingly, traditional public health topics, like clean water and air, emergency preparedness, and public safety were cited the most. 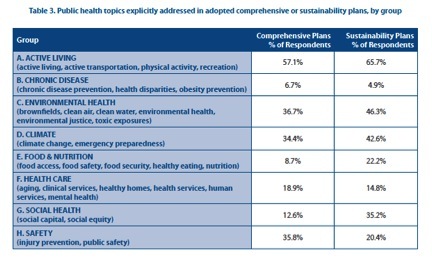 However topics related to chronic disease, social health and equity; and food and nutrition – all high priority public health issue areas – were only addressed by 6.7%, 12.6%, and 8.7% of the identified comprehensive plans, and 4.9%, 35.3%, and 22.2% of identified sustainability plans that explicitly addressed public health. Based on specific criteria (such as geographic spread, plan adoption date, population, and inclusion of 10 or more health related topics), APA staff and its advisory committee selected a handful of these identified plans for further evaluation. Selected comprehensive plans included Alachua County, FL; Baltimore County, MD; Chino, CA; Washington, DC; Don Ana County, NM; Dubuque, IA; Easton, PA; Fort Worth, TX’ Kings County, CA; Niagara County, NY; North Miami, FL; Omaha, NE; Oneida Nation, WI; Palm Beach County, FL; Raleigh, NC; San Diego City, CA; South Gate, CA; and Trenton, NJ. Selected sustainability plans included San Francisco, CA; Grand Rapids, MI; Philadelphia, PA; and Mansfield, CT. The APA team developed an evaluation tool to evaluate the extent to which these plans address various components of public health, the overall quality and structure of each plan, and the implementation strategies used to achieve public health goals. Results of the evaluation revealed that overall, the plans made clear connections between planning, the built environment and public health impacts. However, goals and policies related to active living were strongest, while explicit connections to other public health issues, like food and nutrition, social cohesion and mental health, and health and human services were less frequent and not comprehensive. Plans that included a standalone health element tended to have a greater and more comprehensive emphasis on health, than plans that integrated public health throughout. One of the most noticeable weaknesses of the evaluated plans was the “lack of explicit discussion about how the built environment can affect a range of public health factors”. Additionally, public health data was often not utilized to support public health related goals and policies. The results of this research point to the need to further educate planners about the connections between the built, natural, and social environments, and public health. While planning has its roots in public health, the field has a long way to go before it fully embraces public heath – in all its dimensions. After all, how can a community be truly sustainable without a healthy population? Cultivating Healthy Places’ founder, Kimberley Hodgson, led the initiation of this multiphase research study, when she was the Manager of APA’s Planning and Community Health Research Center from 2008 to 2011. She currently serves on the advisory committee for this study. This blog post was originally published on Virginia Tech’s Sustainability Planning Lab Blog: http://www.sustainabilityplanninglab.com/planning-for-public-health/. This entry was posted in Community Health, Food Systems, Social Equity and tagged active living, climate change, comprehensive plan, emergency preparedness, food systems, public health, sustainability plan on October 15, 2012 by kimhodgson. In September 2012, the Metropolitan Institute at Virginia Tech’s College of Architecture and Urban Studies in Alexandria, VA, selected three professionals to serve as Visiting Sustainability Fellows to the Institute for the 2012-2013 academic year. 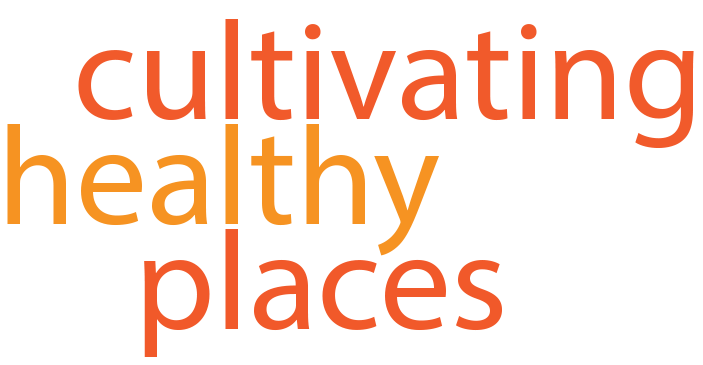 Cultivating Healthy Places’ founder, Kimberley Hodgson, was designated as the Sustainability and Public Health Fellow. Other fellows include, Mariia Zimmerman, Principal of MZ Strategies, LLC and former Deputy Director for the Office of Sustainable Housing and Communities at the US Department of Housing and Urban Development, and Michelle Cullen, Manager of the Brand System Strategy for IBM’s Smarter Planet and Smarter Cities Program. The visiting fellows were selected to foster collaborations with the Institute and engage with the larger research and teaching communities at Virginia Tech. This entry was posted in Community Health, Food Systems, Social Equity and tagged Sustainability Fellow, Virginia Tech on October 8, 2012 by kimhodgson. 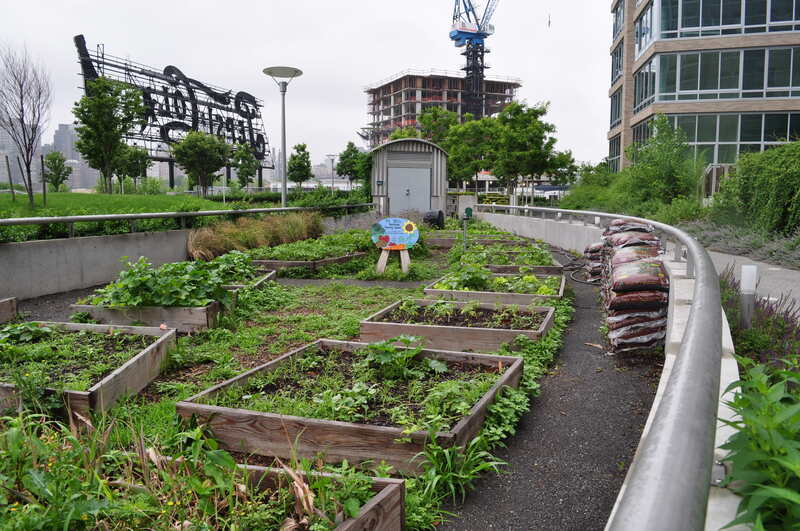 PolicyLink held a webinar today, titled “Equitable Strategies for Growing Urban Agriculture.” This webinar highlighted the challenges and opportunities faced by communities to build support within city government and to develop effective strategies for advancing policy and fostering partnerships that promote urban agriculture. 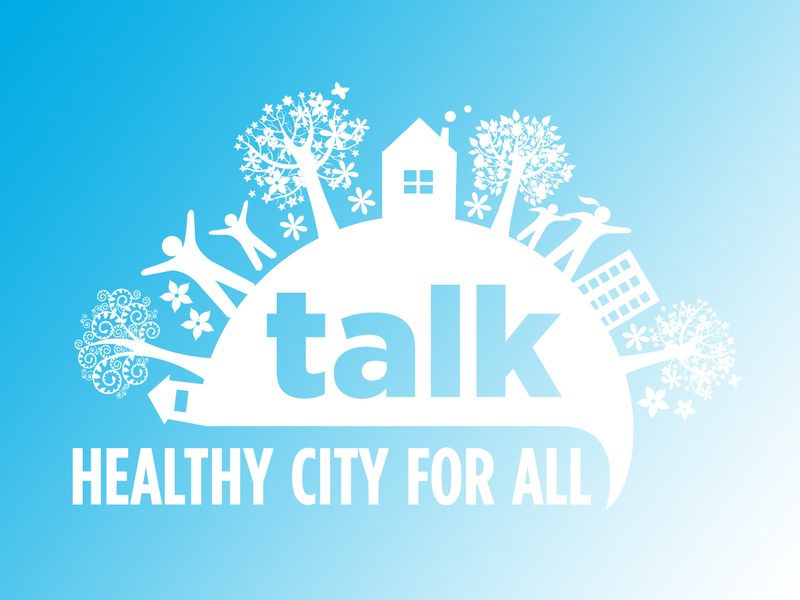 Featured speakers included, Cultivating Healthy Places’ founder and principal consultant, Kimberley Hodgson, as well as Harry Rhodes from Growing Home in Chicago, and Jennifer Ly a Sustainability Associate with the City of Richmond. Kimberley’s presentation provided an overview of promising policies across North America that support a variety of types and forms of urban agriculture. For a copy of Kimberley’s slides, click here, and to view a list of her current and past urban agriculture related work, click here. The webinar will be archived on PolicyLink’s website, under “Past Webinars”. This entry was posted in Community Health, Food Systems, Social Equity and tagged local government policy, PolicyLink, urban agriculture, webinar on August 28, 2012 by kimhodgson. Cultivating Healthy Places’ founder and principal consultant, Kimberley Hodgson, received a 5-year contract as co-investigator for a $3.96 million grant awarded to the University at Buffalo from the National Institute of Food and Agriculture, Agriculture and Food Research Initiative Food Systems Program, a program of the United States Department of Agriculture. The project, “Building Local Government Capacity to Alleviate Food Deserts”, will improve the ability of urban and rural communities to create, implement, and sustain policies that simultaneously enhance food security and foster a healthy local agricultural sector. This project is about making the food system work for vulnerable consumers and farmers who are not well served by our contemporary food system – consumers with limited access to nutritious foods, and small, mid-sized and limited resources farmers. Hodgson’s co-investigators in this endeavor are Samina Raja, PhD (the project lead, University at Buffalo), Julia Freedgood (American Farmland Trust), and Jill Clark, PhD (Ohio State University). Key partners include the American Planning Association and individuals from other national non-profit organizations. The project will begin with a national survey to identify and evaluate the effectiveness of innovative food systems policies in reducing food deserts and strengthening the local agricultural sector. Drawing on the successes and failures of these policies, the team will develop policy tools and provide technical assistance to 20 vulnerable urban and rural communities in the United States to build the capacity of their local government staff, extension educators, consumers, and farmers to develop and implement more effective food system policies. In order to nurture the next generation of food systems policy thinkers and professionals, the team will prepare and disseminate multi-disciplinary curriculum materials on food systems policy for adoption in universities across the United States. The team will also launch a doctoral fellowship in food systems planning – the first in the United States. Earlier this year, Hodgson founded Cultivating Healthy Places, an international consulting business that specializes in social equity, community health, and resilient food systems planning. As a certified planner and registered dietitian, Hodgson conducts policy-relevant research and provides technical assistance to private, public, and non-profit organizations in the United States and Canada on the design and development of healthy, sustainable places. 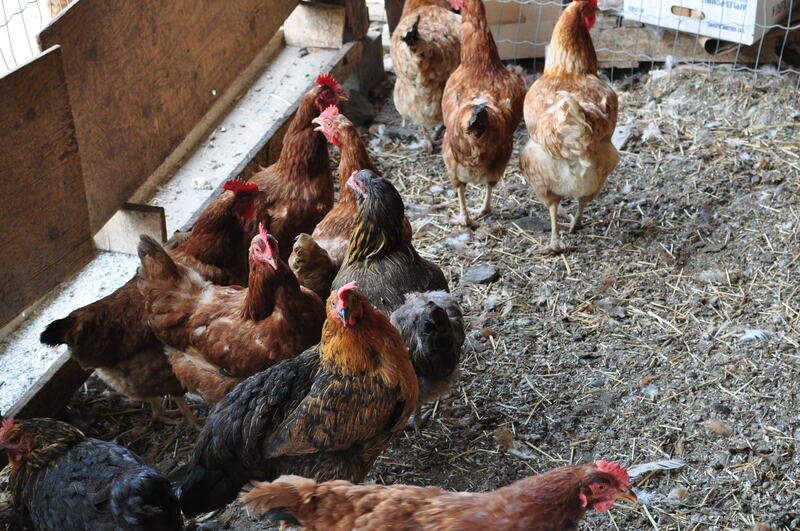 This project will build on Hodgson’s wealth of professional and educational experience related to food systems policy. Hodgson recently co-authored the American Planning Association’s seminal publication on urban agriculture, “Urban Agriculture: Growing Healthy Sustainable Places” (January 2011), and the “Principles of a Healthy, Sustainable Food System“. Hodgson also completed a 3-year American Planning Association research project that was funded by the Robert Wood Johnson Foundation to evaluate how local comprehensive and sustainability plans address and work to improve food access equity. Currently, Hodgson is providing guidance to the City of Lawrence and Douglas County, Kansas and the City of Vancouver, British Columbia on the development and implementation of local level policies to support and enhance the local food system; co-developing a community agriculture plan for an area in Delta, British Columbia; and conducting research on the management and productive reuse of vacant properties for the Metropolitan Institute at Virginia Tech. Hodgson is a member of the American Planning Association, Canadian Institute of Planners, and the Vancouver Food Policy Council. This entry was posted in Community Health, Food Systems, Social Equity and tagged AFRI, Agriculture and Food Research Initiative, food security, National Institute of Food and Agriculture, NIFA, USDA on August 21, 2012 by kimhodgson.